My Clixsense Review 2018: Legit GPT Site or Another Lost Cause? Clixsense.com has gone through some major changes recently, coming from one of the top PTC (Paid To Click) sites, with a foothold in many countries, to a complete switch of their business model to a GPT (Get Paid To) site, and in this Clixsense Review 2018, I identify the key changes, but are they heading in the right direction? This review probably isn’t the first and certainly won’t be the last one you read on your way to trying to find reputable ways to make some extra cash online. I know we all probably spend far too much time on the Internet especially looking for ways to make some extra cash, but are you looking in the right places? Are survey sites really worth your time and effort? Some people think they are and some have earned several thousand dollars, but the amount of time and effort that goes into getting there is enormous. There are literally hundreds, maybe thousands of GPT sites out there. Some good, some ok and some really bad but they all have one thing in common. They all have various ways (additional activities) for you to earn money from, but are these activities just there to keep you entertained and to stop you from signing out of their website? Recommended: NO – Simply because you have to spend far too much time, for very little reward. Clixsense Review 2018 – Final thoughts! Clixsense.com started its life back in 2007 by Steve Girsky and John McConnell as a PTC (Paid to Click) website where as a member you could earn money by just clicking on advertisements. Since 2011 Clixsense.com went through a change in ownership to James Grago who at the time was the CTO (Chief Technology Officer). 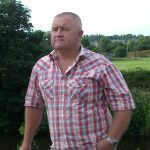 A few major issues that have taken place in the last few years which have dictated some radical changes in the way they now operate their business. In August 2016 Clixsense.com’s data was hacked with around 6,000,000 members personal data compromised with account balances set to zero. In February 2017 PayPal put a hold on Clixsense’s business account stating that they were in breach of PayPal’s user terms and agreement procedures, and as a result, stopped processing all payments, both incoming and out. The reasoning PayPal gave was based on the number of PTC (Paid To Click) sites that were cropping up all over the Internet, even though Clixsense had been operating that business model since 2007 and with no issues. In July 2017, they changed from a PTC website and removed the ability to make money from clicking ads, also removing Clixgrid, the 2 membership levels as well as the 8 level affiliate referral program. Clixsense now operates as a GPT (Get Paid To) site where you the member get paid for taking part in a host of different activities, such as surveys, daily tasks, completing offers, watching videos, playing quizzes etc which I will go into in more detail later on. What is Clixsense Forcibly doing? Thought that might grab your attention! Well, a little strong maybe, but let’s see if I can explain what I mean. At the beginning as a PTC (Paid To Click) site, and incidentally one of the better ones, members were happy just clicking on ads and earning a little cash, along with advertising their own stuff too. Since the problems with the data hacking and PayPal pulling the plug many have gone elsewhere. Seriously, who can blame them? Only time will tell moving to a GPT site if PayPal will renew their relationship with Clixsense.com, but it looks like the new owner is trying extremely hard to revitalize the business and hopefully heading in the right direction. Major changes to a business model such as Clixsense.com moving from a PTC to a GPT site take many man hours with software changes that are required and I see that the “online help” documentation is not in-line with those new changes. Something to be aware of! In the grand scheme of things that isn’t a great amount considering how many members have been involved. Like with any business you get involved with and how much money you make, it is all down to the dedication, and the amount of time that you put in. Like a real job where you know just where you stand with the hourly rate and the number of hours worked, with online opportunities it is just impossible to gauge how much you can earn and how long it will take. The potential to earn a lot of money online is there if you know how and survey sites are just not going to cut it, they really aren’t. How often you login to the website. Availability of surveys and whether you qualify or not. The amount of tasks and offers you need to participate in. Referrals and how often they partake in the system. Here I would like to show you the main 2 different ways (there are others) of how to earn money from Clixsense. 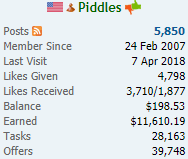 As you can see here “Piddles” has been a member since 2007 and managed to accumulate a whopping $11,610.19 by completing tasks and offers that accumulate 67,911. No referrals! “dsbe” has been a member since 2009 and earned $17,540.42 mainly by introducing referrals. Both have earned through the 2 main methods Task and Offers along with Referrals, but as you can see to get to that total it has taken a lot of time and effort. Sure, there is money to be made but time spent in the right manner will serve you in the long run. More on that later! That’s pretty straightforward, just click here and it should take around 10 minutes to complete the full registration and remember this is 100% free to join and take part in. Just enter, your first and last name, a valid email address and a unique user id, and don’t forget to read the terms and click the 2 boxes. An email will be sent to you to respond to and fully activate your Clixsense.com account. Then all you have to do is fill in the “surveys profile”, which are your demographics covering 21 questions and you are ready to go. This is important and determines the type and amount of survey’s that are sent out to you. Don’t forget to download the ClixAddon extension for your browser. A great way to keep abreast of things at the touch of a button. As of this review, there is currently no app for the mobile phone! Please note, only one Clixsense account can be registered from the same household! Completing the daily checklist will give you a bonus of up to 16% that will be credited to your account at the end of each day. Further details can be found here. Earn by completing simple tasks where you can also earn additional bonuses and there are weekly contests for you to participate in also. Here you are met with a whole host of different ways to accumulate “clixcents” (which are converted to dollars) from taking surveys, joining casino sites, offers, through to entering competitions and playing games. Just bear in mind that most of these offers require you to signup and in many cases, you will be asked to add your credit card details. Offers usually exist for a period of time so don’t forget to cancel the offer otherwise you could be hit with costs debited to your card. So be careful! This is a great way to boost the amount you can make. Why not refer a friend or family member and reap the benefits and watch your account balance grow. Earn up to 30% recurring commissions on anything your referral makes and that’s for life. They have some great banners and splash pages available for you to promote your campaigns. Referral signup commission of $0.30 for 1st tier countries and $0.10 for all others and a one-off payment of $2.00 when your referral earns their 1st $5.00. Continued commissions for life which is 20% of everything your referral earns as a member of Clixsense. There are a number of methods excluding PayPal. Remember all funds are in US Dollars and therefore will be subject to a currency exchange rate fee. All electronic payments are processed daily and usually take up to 5 business working days depending on where you are in the queue. New accounts, which are registered within the last 30 days may be delayed by up to 15 days. If you require payment by check then you must request your payment before the 5th of every month for the check to be processed before the 10th of the month. Remember that checks are valid for 60 days, and that once received at your bank will take a further few days to clear! For a company that was one of the top PTC sites and has been operating for over a decade, I was a little surprised to not find many reviews about them. You can check out Survey Police, Trustpilot and Sitejabber to get some idea for yourself. With so many, work from home opportunities that charge you monthly fees to earn yourself some extra cash, here at Clixsense it is 100% free to join and participate in, so really nothing to lose except your time. Coming from a software development background I can see the amount of time and effort not to mention the cost that has gone into the Clixsense website. Clixsense was once one of the top PTC sites online which has helped to establish the site worldwide, which covers many of the major countries. Just remember to check out which tier your country belongs to. PayPal has been for a long time the main method for handling finances whilst on the Internet and most people recognize this as their number one choice. PTC sites have been getting a bad rep and for good reason too so I see a switch from a PTC to GPT site a change in the right direction, and hopefully just a matter of time before PayPal come back. 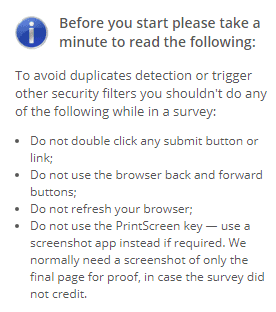 This seems to be the norm with these survey sites, that you click on a survey and start filling it in only to be told a few minutes down the road that you didn’t qualify. Once I’d registered and set up my demographics I was met with 20+ surveys and I thought great, and I went straight to the highest paying and found 1 by 1 that I wasn’t qualified. I had just filled in 21 questions regarding myself so why were they even listed? 10 surveys selected and 10 I didn’t qualify for! On average for the bigger paying surveys which are around $1.25, and they take about 20 minutes to complete. That’s if you manage to qualify for the surveys! As you can see I didn’t and I am from a tier 1 country! I remember a few years back when Clixsense was a PTC site, I spent many hours trying to earn some extra cash, but the rewards were not worth it for me. However, would I recommend Clixsense and I have to say NO, but that is simply on a basis that the amount of time it takes to earn some decent money is enormous? It really all depends on who you talk to and whilst I have come across members that have earned several thousand dollars, the amount of surveys, tasks and offers to get to that point have taken many hours. 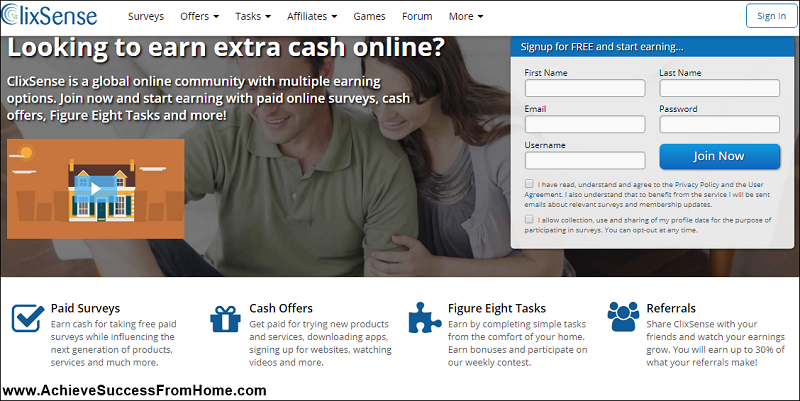 If survey and reward sites are what you are looking for, why not check out SwagBucks or Ebates but if you really want to learn how all these sites operate and start earning some real money then check out what I do for a living here. Are you a member of Clixsense? Are you happy with the changes from a PTC to a GPT site? Thinking of joining? Tell me what you thought of this review or maybe pass on some love and share with your friends. I’d love to hear your experiences not just with Clixsense but survey and reward sites in general. Thanks for providing an honest recommendation from clixsense. It does sound like it will take far too much of my time to earn any money. I personally am enjoying the training with Wealthy Affiliate and starting to see returns from my writing and blogging efforts. A few years back I went through the filling in surveys process and to be honest it didn’t last long at all. Just sitting there hour after hour, day after day for the pittance they pay is just not worth the trouble. Thanks for your comment. Very nice article about Clixsense. I never knew about this website but from your review I see that the rewards are very small to spend the necessary time. Thank you for bringing it to our attention and I am sure this will help a lot of people to avoid it and save their time for more serious endeavors . 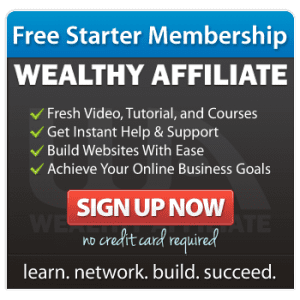 When I read reviews about websites that can earn you money and see how hard it is to make any considerable gains I see why Wealthy Affiliate has so much potential and value. I’m glad that you found the article of interest. Many of these sites are just not worth your time. Yes you can earn money and some are earning thousands but you have to invest many hours and to get to that stage takes years not weeks or months. People are just too cautious when it comes to making money online and still feel that there is some push button software that will give them instant riches. Thanks for commenting. Great article sounds like one to avoid, I think people would be better off using their time on an affiliate web site, it might be a bit at first but their earning potential would be much greater in the long run. It makes you wonder how Jim Cargo earns his money. Hey Bill, glad you enjoyed it and yes, another one to avoid, unfortunately. Some people are earning what looks like substantial amounts of money but when you break it all down with the number of hours invested it simply isn’t worth the effort. Shifting that wasted time and effort into learning a new skill that can benefit you and your family and your future is what people should be doing, but many are just not prepared to put in the hours. Thanks for the great comments. Lots of great info on your site. When I started out online a couple years ago, I thought clicking ads was the easiest jobs on this planet. But in a real sense, they are really sucked. Today if I was still doing this maybe I will earn about $10 now. Definitely, it not worth the trouble like you said in the article. In my opinion, it is better to look somewhere else for making money online. Thanks for sharing the in-depth review about the Clixsense. Hey Maun, if you want to waste your life away then this is the way to do it. I should know I spent time myself doing the same thing, bouncing from one thing to another with no clear idea of how to make money online, until I came across the training platform that I am currently involved with. Thanks for the great comments, much appreciated. Great detailed and honest review of Clixsense. I appreciate you having done the research and grunt work of putting everything I need in one place here in your article! I will probably steer clear from their business and save time thanks to you. Keep the quality reviews coming! I’ll be on the lookout. 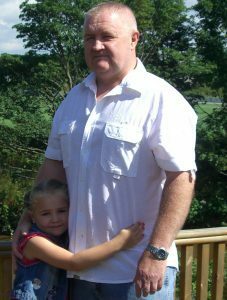 Hi Andrew, I’m glad I could help and thank you for the great comments. Previous Previous post: What is Toluna: A Legit Survey Site with a Difference or Not? Next Next post: What is Cashcrate About? Legit or One to Stay Away From?